Summer really isn’t sure whether to stay or go. Rain then sun (enough to dry two loads of washing) then torrential rain with thunder and lightning. It stayed dry while we were in the pub then bucketed down as we walked home! Photo for today? 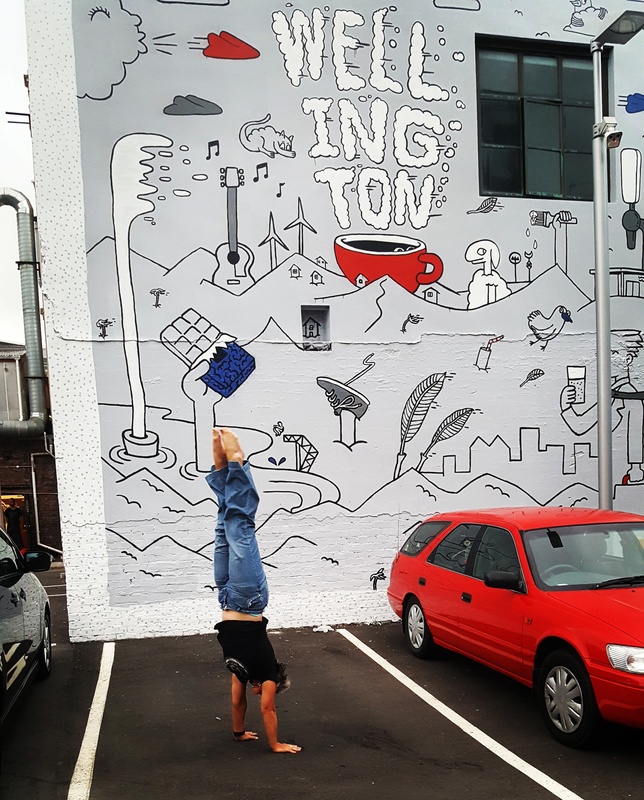 Well, eventually they had to be a handstand in the pub, didn’t there? I can see this month’s photos could get a little repetitive…. Oxfam training took me to the Taitua Arboretum today. 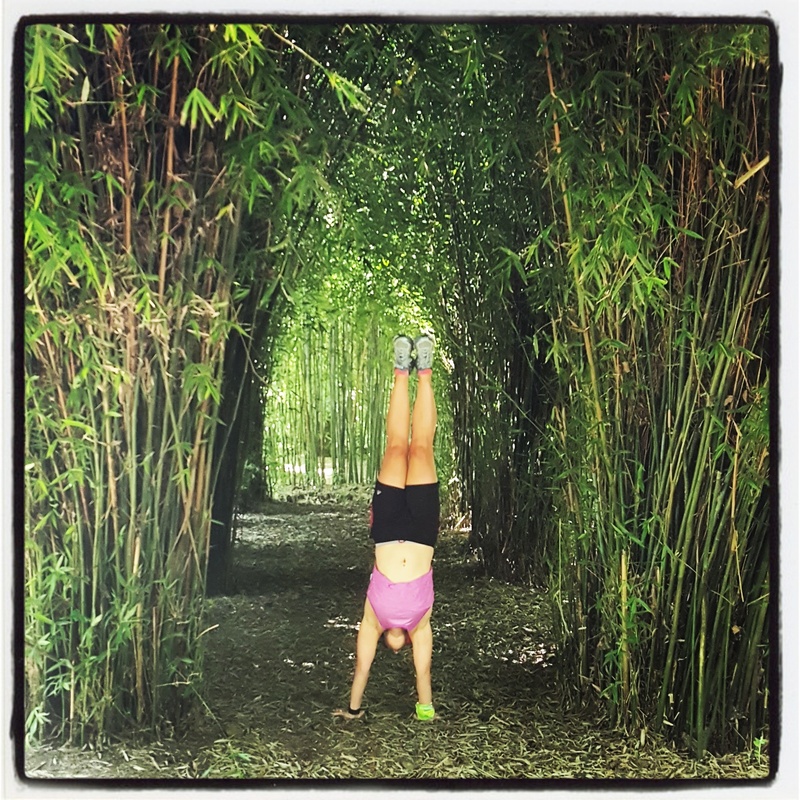 Just a short blast but time to do a handstand in the bamboo tunnel. 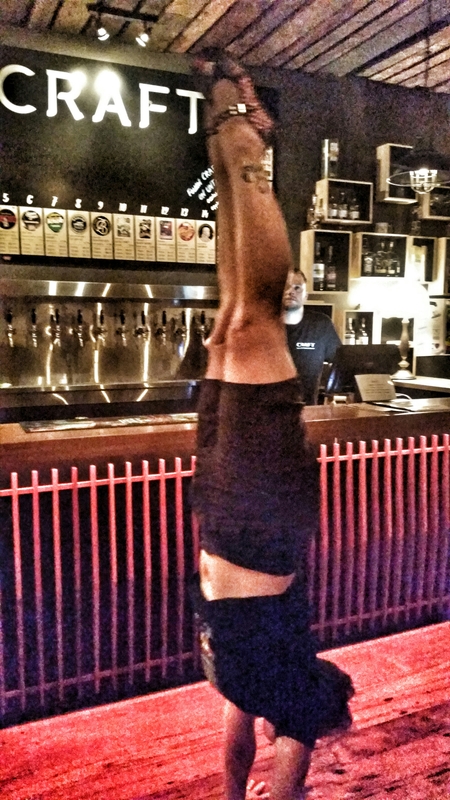 A handstand photo or a beer photo?! Oh dear, getting a bit predictable! 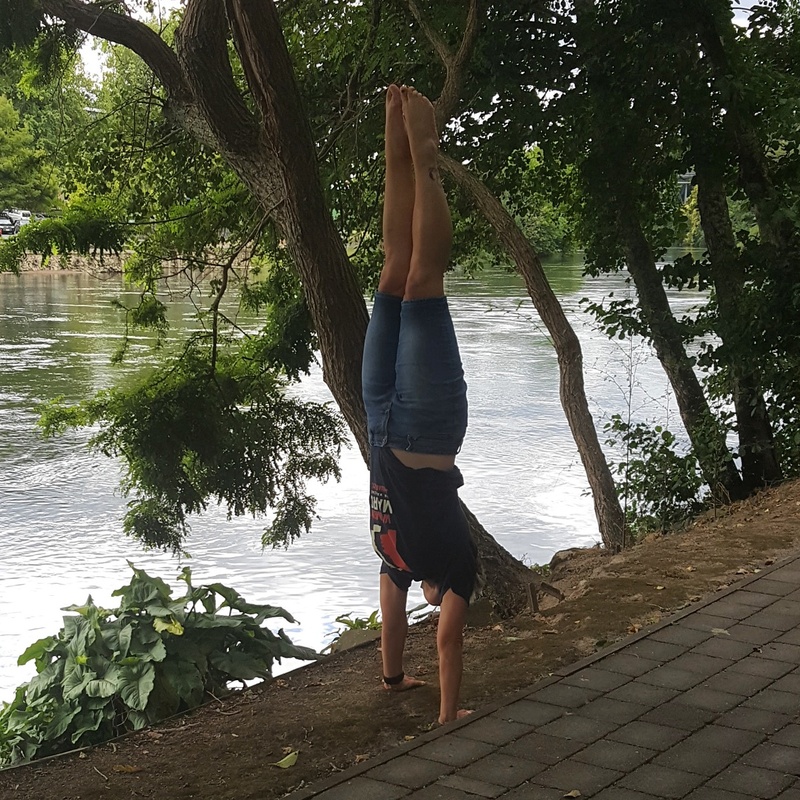 Handstand by the river on the way to the pub…. 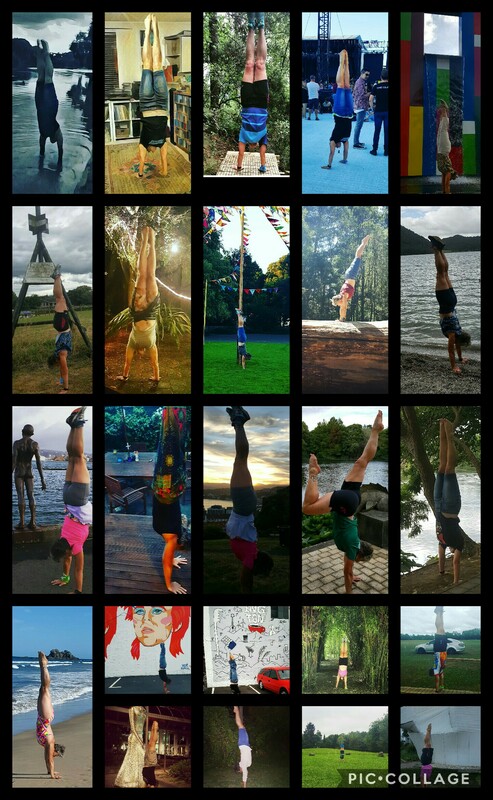 There may be a few handstand pictures this month! 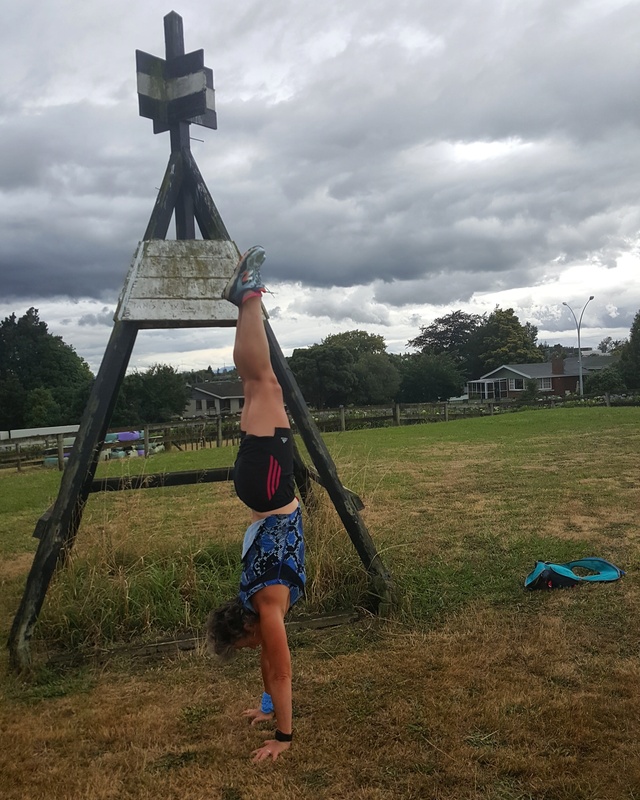 I’ve walked past this trig many times but I think this is the first handstand here! 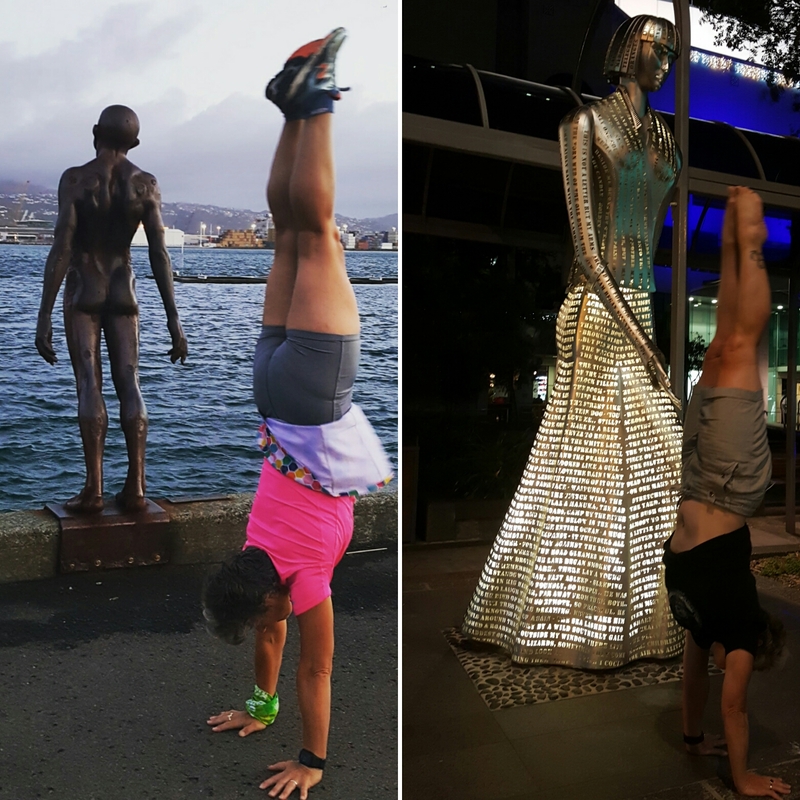 Wonder what the Te Reo word for handstand is?